The ONE from Planet of the Vapes is the newest iteration in a line of dry herb vapes similar to the Fury and Fury 2. The ONE vaporizer is a bit different from these devices and I’ll be sure to compare the differences below. 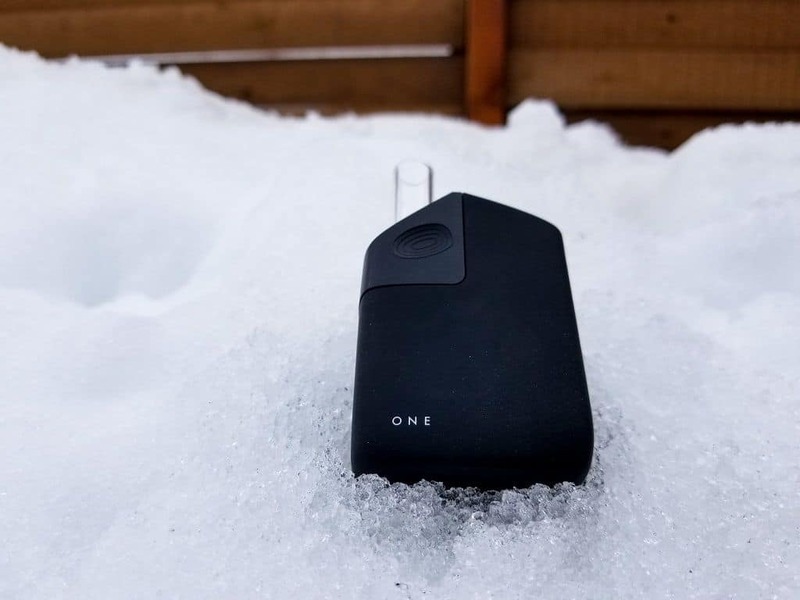 As for the ONE, It’s a hybrid convection/conduction vaporizer that comes with some new upgrades and changes that make this one a top contender in the best portable vaporizer under $150 price range. 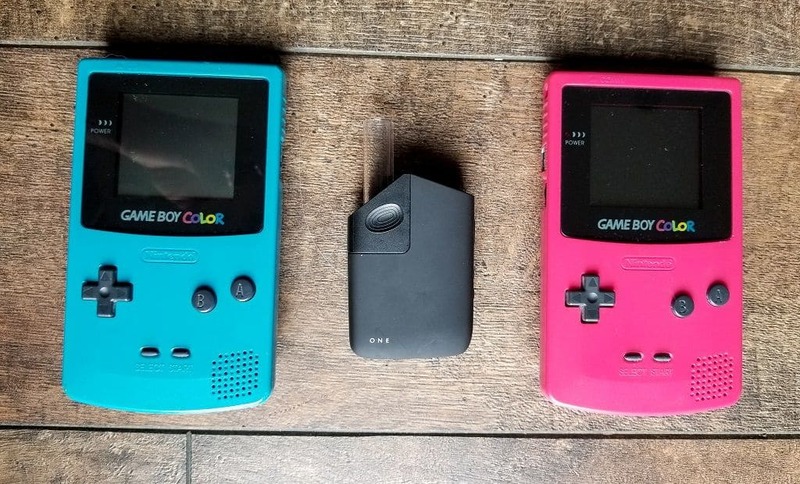 This ONE portable vaporizer comes with a full temp spectrum, digital display, fast heat up times, haptic feedback, and big rips all packed into a small and compact size. The unit holds about .15g making it really strong for solo use or with a friend but it doesn’t do great in group situations. The only place to get the ONE is directly from Planet of the Vapes, luckily they are one of my favorite distributors because they have fast free shipping, excellent customer service, and they include freebies with your purchase. You can pick one up here for $129 but if you get it now during the 4/20 sale it’s going for $103 with a free glass add on (I recommend the bubbler) and a free grinder and tightvac. Read on below to get my full ONE vaporizer review. Overall this unit has great size and feel to it. It’s compact and feels sturdy thanks to the zinc-based alloy shell. Overall the unit is very portable and fits great in my pocket. The part I was originally worried about was the glass mouthpiece, however, it does not stick out very far and it’s extra thick so I have had no problems at all keeping it in my pocket. The mouthpiece has even survived a handful of ski crashes. The unit weighs in at 130 grams which is about what I would expect for this size, it’s not quite as light as something like the Pax 3, but it’s lighter than other portables I frequently use like the Crafty and the Davinci IQ. The buttons feel nice, and the display looks good with all the relevant information included. My only complaint about the display is it can get a bit hard to see on very sunny days. Heating – This unit uses a hybrid conduction and convection heating system with an isolated air path. Unlike all of the other variants of this vape, which use the NiChr heating element, the ONE uses a stainless steel heating element which I prefer overall. It does, however, add a couple of seconds to the heat up time which is around 30 seconds.. The heater in this unit is actually very powerful for the size of the vape. So expect shorter sessions with this vape than most the others in the same price category. In fact, if you have iron lungs you can basically clear an entire bowl in 1 long draw with the bubbler attachment. Vapor Path – The vapor path is completely isolated from the electronics and starts with a stainless steel heater, it then goes through the aluminum bowl, and ends up at the glass mouthpiece. There is also a very small piece of silicone used to make the seal between the mouthpiece and the bowl. Overall I am very pleased with the heating system and vapor path of this vape, especially considering the price. Temp Options – The unit is fully adjustable from 320F to 430F. The higher temps get harsher in my opinion so I generally stick around 370 or 380 unless I am using the bubbler or water pipe adapter. Chamber Info – The ONE has a small to medium sized bowl that generally holds about .15 grams of dry herb in the chamber. I have managed to get around .2 in there when it’s smashed in, but I prefer packing .1-.15 for best results. This is usually great for 1 or 2 people but if you need something for groups near the same price range you might want to consider the Pax 2 or the Boundless CF. Draw Resistance – The draw resistance on the ONE is on the low side when it’s not packed too tightly which is something I really enjoy. With the powerful heater and low draw resistance, you can finish bowls quicker than the other units in this price category. Battery Specifications – The ONE uses an internal 1600 mAh LiPo battery. Battery Life – I have been getting around 30 to 45 minutes of battery life per full charge. This is reasonable for the size and price of the device. Since the unit has a powerful heater and fast sessions, it can actually vape a large amount of herb on a single charge despite not having record-setting battery length. Charging times – A fully drained ONE takes about 90 minutes to charge to full. This is about what I expected and nothing to brag or complain about. Previous Fury Units – This is the 3rd iteration of this style unit. The first one was the original Fury, which was also re-branded under a bunch of other names such as the Sutra Mini, and the Grindhouse Shift. 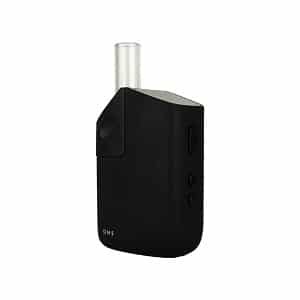 Then along came the Fury 2 which was sold by HealthyRips, and now we have the ONE sold by Planet of the Vapes. They made the unit turn on with 3 clicks instead of 5 which is a minor change, but in use, it’s a nice improvement. They also improved the Silicone so that it didn’t leave a lingering smell/taste. Upgrades to the new ONE vaporizer – Now with the ONE, we have even more upgrades. First, they have changed the heating element from Nichrome to stainless steel. Next, they added haptic feedback which is a great quality of life addition. They have upgraded the mouthpiece screen for less cleaning and better airflow. Last but definitely not least, they have changed the mouthpiece from plastic to glass. The new mouthpiece also easily swaps from the glass stem to the mini bubbler, to the water pipe adapter. Overall the ONE is a really good portable vaporizer. It’s definitely in my top portables under $150 and it will treat you well. This unit scores very well in size, portability, draw resistance, and power. I wish it had a bit longer battery life, and occasionally I find myself wishing it had a larger bowl but overall the ONE is really great for the price. 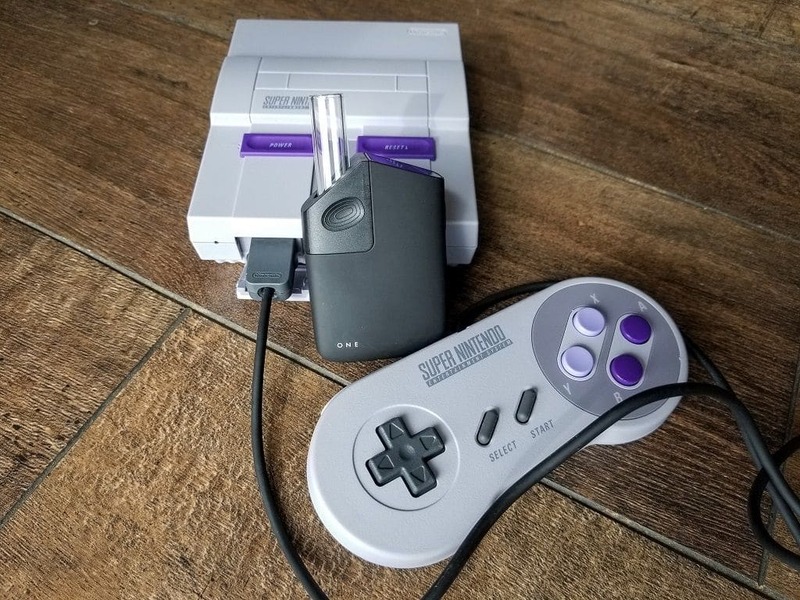 If you plan to use this vape mostly on the go I don’t think the bubbler is necessary, but if you do plan to use this vape mostly at home then I really think the bubbler is a great addition. The POTV ONE retails for $129 and you can only get it directly from Planet of the Vapes. The launch is happening along with their 4/20 sale so you can currently pick up the ONE at 20% off the regular price ( $103 instead of $129). 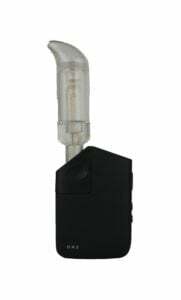 They are including a free glass add-on (choose from a Mini or Bent Mini Bubbler mouthpiece, Waterpipe Adapter or Bent mouthpiece) as well as their ‘standard’ bonus items the Tightvac and 4-piece metal grinder are also included. Click Here to be shop for the ONE. Thanks for checking out my site, and thank you for taking the time to read my Planet of the Vapes ONE Vaporizer review. Let me know if you have any questions below and I will get back to you as soon as possible.